Above all else, your content must be your highest priority. Content is the foundation, the life blood on which the site exists. Without valuable and helpful content, readers won't come. Search engines won't prioritize your pages. So first focus on providing excellent content, and the monetizing strategies will eventually work out. Timeless content means content that stand the test of time. For sportsbook affiliates, this type of content can be about different bet types - point spreads, money lines, parlays, etc. Content about bet types won't go stale. Point spreads have been around since the beginning of sports betting and it will still be the same for years to come. There will always be new comers to betting on sports and they would always look for content on how to go about it. 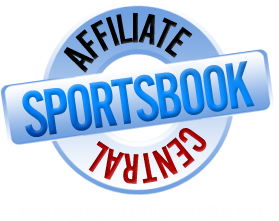 As a sportsbook affiliate, there lies the opportunity to provide the needed content and information. Besides, with timeless content, you won't have to update it on a regular basis so you can focus on other aspects of your site. Before, keeping content updated means writing almost everyday. For many webmasters, this is a daunting task. But thanks to RSS feeds, you can offer up-to-date news to your readers without having to write an article. Sports is a fast changing world. Players can get injured or traded overnight. And bettors need to keep abreast on what's happening to their favorite team or player. That's where webmasters should come in. Provide news to bettors so they can make informed choices about their bet. For example, if you learned that Kobe Bryant won't play on the next game against the Miami Heat because of a sprained ankle, would you still bet on the Lakers? For webmasters, it's vital to join a sportsbook affiliate program that integrates RSS feeds. Blogging is another way of providing fresh content on your website. This may be an added task to webmasters but you don't have to do it on a daily basis. Blog about the Superbowl, the MLB World Series, the NBA Playoffs / Finals. These topics are hot and readers always want to read about what other people think about matchups. The Superbowl happens only once a year. The MLB World Series as well as the NBA Finals are just seven games, the most. So it's not too much of a burden for webmasters. Besides, writing is another skill that you just might enjoy. Join our sportsbook affiliate program now and start earning!